This is a highly strategic merger and an ideal cultural fit between two successful firms. The partnership will primarily empower Cooke to do more for their clients and concurrently attain a series of key strategic goals. 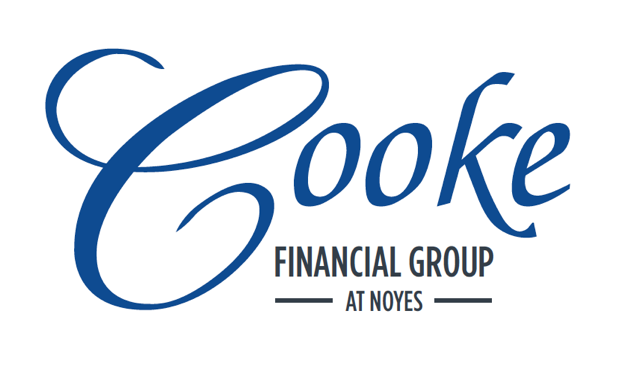 Noyes, a 108-year-old employee owned wealth management and investment-banking firm, announced today the addition of Chris and Brian Cooke, and the entire Cooke Financial Group [“CFG”] to its wealth management group. Led by award-winning advisors Chris and Brian Cooke, the firm’s team boasts more than two centuries of collective licensed financial services experience, and is comprised of Certified Investment Management Analysts, Certified Financial Planners, a non-practicing Certified Public Accountant and attorneys, as well as senior institutional portfolio managers. The firm currently advises assets in excess of $1.7 billion. Mark Damer, President and CEO of Noyes, explained that Chris and Brian are joining the firm as partners, while opening the firm’s largest branch. This partnership solidifies CFG’s ability to extend services to its current clients and expand investment decisions. The union of Cooke and Noyes strongly enhances the momentum of Noyes’ recruiting effort and exemplifies how Noyes’ client centric culture, operational expertise, and robust practice management are significant attractors for wire-house refugees and independent advisors alike. Noyes, through its subsidiaries David A. Noyes & Company and Noyes Advisors, LLC is a full-service investment firm headquartered in downtown Chicago with branches throughout the Midwest. Founded in 1908, the firm is one of the oldest securities firms in Chicago, and has served the Indianapolis area for nearly 80 years. The employee owned firm offers a comprehensive menu of products and services to individual and institutional clients. Noyes has seven offices in Illinois, Indiana and Michigan. For more visit http://www.danoyes.com.